My goal for this article is to teach you everything you need to know about keyword research. This article will be simple and straightforward. The key though will be to actually take the steps and find some great keywords for yourselves. There are dozens of different ways to make a legitimate income online, but at the root of every successful method is keyword research. •Keyword research is the difference between your website ranking on page 1 of Google or page 37. Which would you prefer? •Keyword research is the difference between your advertising costs being 10 cents per click or $5.00 per click. •Keyword research is the difference between your site actually making money or just providing information. •Keyword research is the difference between receiving hundreds of visitors to your website per day, or only a few visitors per month. More traffic equals more sales which equals more money in your bank account. 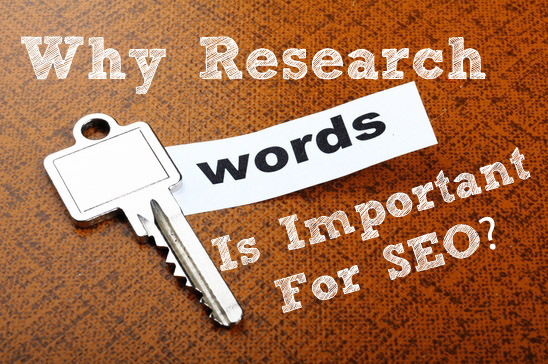 In general, internet marketers understand keyword research is important. Most guides to Internet marketing even mention it as one of the first steps. Sadly though, few of those guides actually show you how to do it most effectively. I want to show you just how easy it can be when you follow the methods I’m about to show you. All the software tools in the world cannot help you with this. It might say that a keyword is easy to rank and gets lots of searches. But just by reading that keyword you can see that it’s a terrible one to target. Keyword tools cannot determine which keywords are good and which are not. How can you tell which keywords are good then? Well there are many answers to this question. So you can see from this that most logical type of keywords to try to rank for are buying keywords and then long tail keywords. Don’t even think about trying to rank for a broad keyword, that would be a complete waste of time and money. I would always go for the easiest to rank, and if possible also a buying keyword. A “buying” keyword is a keyword based on people’s impulse to buy something. These are the keywords where people are searching with their credit cards already in hand. A “buying keyword” is defined by the need of a group of people (the niche) to find answers to their problems. In each of the above examples, the second version is the more “buying” keyword, while the first example is more generic and from people just looking for information. If your website ranks high for buying phrases, chances are you will make sales. The person searching for the keyword is more inclined to spend money to solve their problem. There is no exact science to this. It just takes logically looking at a keyword and thinking through the likelihood of someone willing to spend money if they search using this phrase. Some keywords do not have to be good “buying” keywords though and you can still make a lot of money. It really depends on the niche. For example with Adsense, you do not want your visitors to buy anything, you just want them to click your ads. In that case you are interested more in the cost per click, the higher the better. Before we get to the killer keyword research methods, there is one more thing I want to address, which is testing the traffic of the keyword. This step is optional and one that most people don’t do. But I would recommend you do it when you find a really good buying keyword with plenty of search volume, just to verify if those numbers are correct. The keyword tools you use, even google keyword tool, are never exact. They are inflated numbers, or they are numbers based on past searches. Or they are numbers based on average searches over the years. None of these are real figures, so do not consider them as exact figures. Now I’m not saying that all the tools are wrong, or that any of them are wrong. But some of the keywords that you find may not have their exact figures so you must test to see if it works out. Many times I have found keywords in keyword tools that had the wrong search numbers, so I sometimes add this step into my keyword finding process. You must know if your figures are right, otherwise you will be doing SEO for a term that may not get any searches (I have made this mistake many times). How do you test your keywords then? First thing you do when you have found a keyword is head over to google trends. You want to see if the keyword gets an average search volume over the whole year, or if it inflates over certain months. You might see that many toys and products inflate over christmas time. You may see that outdoor products inflate during the summer time. Either way, you must know this so your test is valid. If you are in the summer time with a product that has high searches in the summer, then you know from your test that the numbers will be inflated because you’re in the summer. So you have checked the keyword in google trends, now how do you actually get a valid test for the keyword volume? The answer is with an adwords test. If you don’t know how to use adwords, do not worry. You are not creating optimized campaigns with thousands of keywords and driving traffic. You are simply creating one campaign. With one ad group, and one ad. This adgroup has your exact match keywords in it. You will drive traffic to a website that is in the top rankings in google for your keyword. This helps with your quality score. If you don’t know what that means, don’t worry. Just create an ad, with the target URL being a top ranking site for that keyword. This process takes about 5 minutes to setup when you are used to it. You then run the campaign for a set time of 4 hours. If nothing happens let it run for 6 hours. Then when the campaign is finished, you check the impressions (searches) and you will get an exact live statistic of how many people searched for that keyword in those 4 hours. You then multiply that number by 6 to get your exact searches per day. The keyword must be exact match. In brackets, [like this]. Otherwise it will also count many other searches that are not your keyword. I’m not going to go explaining how to set up an adwords campaign, youtube is your best friend when you need any help with this. Just make sure you use an adwords coupon for this so it does not cost you anything (use google to find one). What Are Advanced Google Search Operators? This entry was posted in Internet Marketing and tagged advertising costs, great keywords, internet marketers understand keyword research, keyword research, website ranking on page 1. Bookmark the permalink. Follow any comments here with the RSS feed for this post. Post a comment or leave a trackback: Trackback URL. Sometimes it could be difficult to come up with the things most people search. I’ve been using the keyword planner for my keyword research task and this really helps me a lot. For us bloggers and writers, it is important that we know what our readers are looking for in a blog in order to address their concerns and needs as well as to keep them interested in our blog.